This month we explore practical management skills to improve the way organisations, teams and leaders work. Opportunities to step up in your career might be closer than you realise. With some dedication to improving your opportunities these five strategies might just help you take that leap in your career you’ve been waiting for. Look back on experiences of your life and career to date and see what you have learned. Your experiences are unique to you and they will teach you many lessons if you choose to take the time and reflect on them. This is invaluable and it’s up to you to uncover the gold. Think back to some of your biggest challenges. What did you overcome? What did you realise you could achieve? Recall your triumphs – what are the things that matter most to you? How about your failures? Mistakes are a great way to learn how not to do things in the future. Find out what is relevant to the area you are interested in pursuing in your career. Are there influencers you should be following? Brands you should know about? Courses you should be taking? Research you should be reading? Information is a powerful tool and you can use it to show your deep interest and passion for an area. Make sure you let other people know what you’re up to. If you’re taking on new projects, share the case studies. If you’re looking for opportunities, talk to people. If you’re building your skills, let people know. We are living in the age of information and it easier than ever to let other people know what you are up to. You can talk to your boss, have a coffee with a colleague, share a story on social media. Pick the communication channels that are suitable and appropriate and make sure you are clear and succinct with your messages. A lot of people are afraid of feedback as they feel as if it opens them up for criticism. When you reframe feedback as an opportunity to improve it makes it much more palatable. The trick to asking for feedback is to be specific. Instead of asking, “Can you give me feedback on how I’m doing?”, find a particular area that you want feedback on so that you can work on it. For example, you might say to your manager “I want to improve the way that I work and I’ve decided to start with how I conduct myself in client meetings. Do you have any feedback in regards to how I prepare for these meetings or the language that I use during the meeting so that I can work to improve these areas.” If you are given feedback that you’re not sure about you can always ask them to give specific examples so that you can review your past performance e.g. “You’ve told me I need to be more assertive in these meetings, could you give me a specific example of when you think I could have been more assertive?” With this information you should be able to make decisions about what to focus your energies on. Remember, not all feedback is worth acting on, so you must take some time to assess what to focus on. Keep an eye out for what else is happening around you. If a project comes up that would stretch your skills, consider taking it on. If you need some sound advice, seek a mentor. If a learning opportunity comes along, put your hand up. At the end of the day no one but you can progress your career. Taking a step up will require focused effort and it might take longer than anticipated. 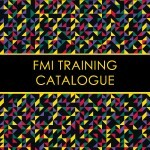 FMI has created a range of open learning courses and programs that are designed to help people take a step up in their career. If you are unsure about your next step why not contact us and see if we can give you some advice.